It has been said that it takes 10,000 hours to become expert at something. But for some it takes longer or shorter for some as shown by the Infographic at expertenough.com. For example, it takes 26,880 hours for an astrophysicist to become expert and the Neurosurgeon just requires 42,240 hours. There’s one thing that is common to both Neurosurgery and astrophysics. They both require a long time to master their skill. Why is this you ask? Both skills require extensive training and lots of testing before they are awarded their certifications and allowed to work in their respective fields. In his case he was learning to play the Ukulele and he utilized 4 chords to play the same progression that exists in thousands of popular songs. The chords are C Major (1), G Major (5), A Minor (6) and F Major (4). Each number here is the number that the chord represents in the Nashville number system. It is possible to learn this and play by ear in a relatively short space of time. 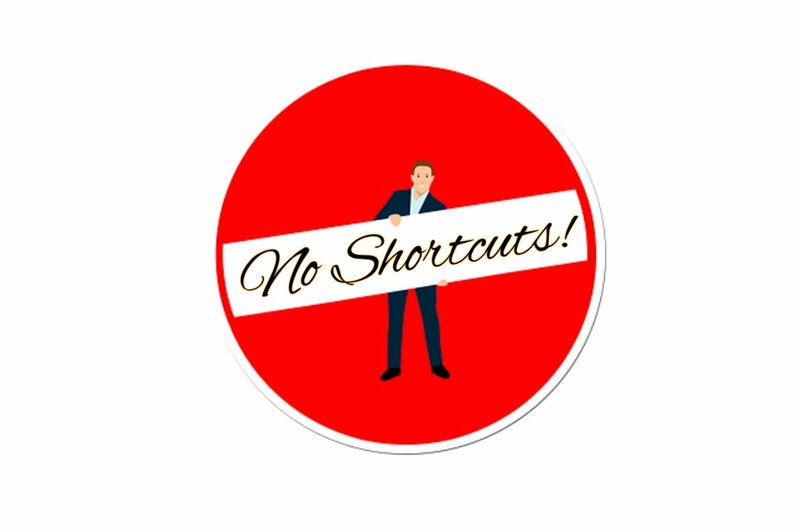 But whether you are aiming for an expert level or just beginning, just know that there are no shortcuts and keep on Playing It By Ear. 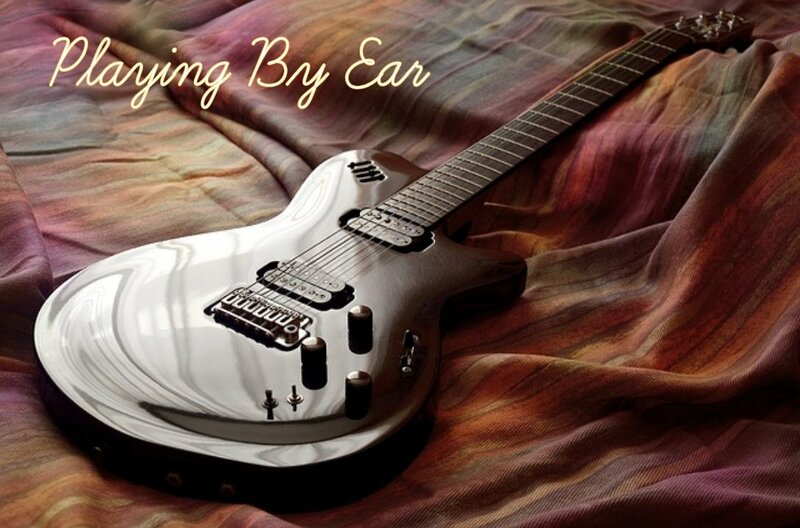 I have been asked the question, “Is playing by ear  easy?” I would like to answer that question in this way by saying that it is as easy as you know how. You may say to me what does that mean? It simply means that you are able to play by ear as much as you have the skill, knowledge and practical application. I guess I can say that the response is a scaled response. It’s like a language. The more vocabulary you know, the more you are able to speak and understand. I wrote an article a while back that talks about this called Music as a Language where I talk about how children learn to speak before learning to read. They learn sounds of the language and they are able to express themselves before learning all the grammar, and the rules of the language and the theory of an object, verb and subject. So in reality the answer is yes. Playing by ear is easy if you know how. The reality is my playing by ear is different than Jacob Collier, Stevie Wonder, Ray Charles, Victor Wooten, Herbie Hancock, Harry Connick Jr., Winton Marsalis, Stevie Ray Vaughn, Santana, or Chick Corea. It’s as different as the physical sound of their voices. You just have to keep on doing the best that you can as you Play It By Ear. 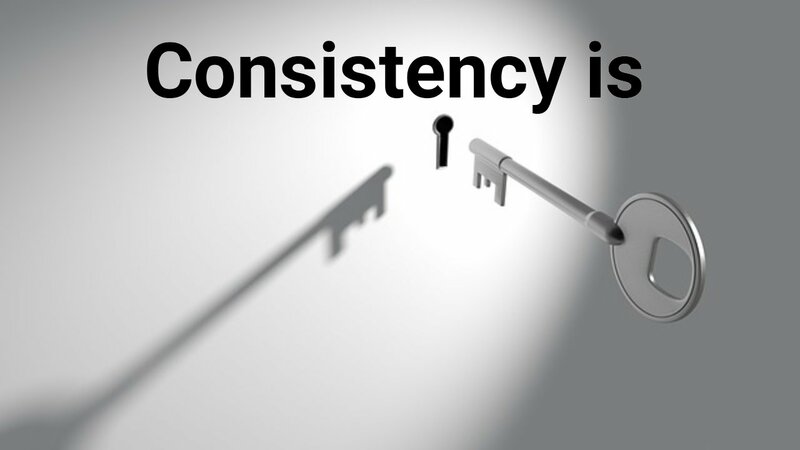 You may be wondering why I’m writing all this about Consistency is Key, and taking small, attainable, measurable steps to achieve your goals. Well I’ll tel you why I am doing this. It’s important to have a framework in which to achieve your dreams. They don’t just happen in a vacuum (unless your dream involves being in outer space which is the ultimate vacuum ). In life we are constantly faced with challenges that affect us in certain ways. I am challenging myself to lose weight this year. My plan for that is to workout for 30 minutes every day without fail. I have a support group that I hold myself accountable to, and we encourage each other on the journey. I am also challenging myself to write in this ultimate blog challenge. 31 blogs in 31 days. It’s a challenge. 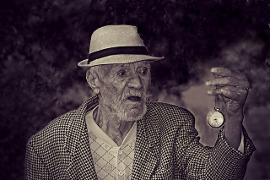 My plan is to write for 15 minutes a day on my blog to post it. But what happens when you can’t meet that challenge and you fail? Do you give up? Do you quit? So today, I finished my short blog from yesterday, and I’m going to finish this one too. Then I’m going to pick up my guitar and practice my song for this weekend. 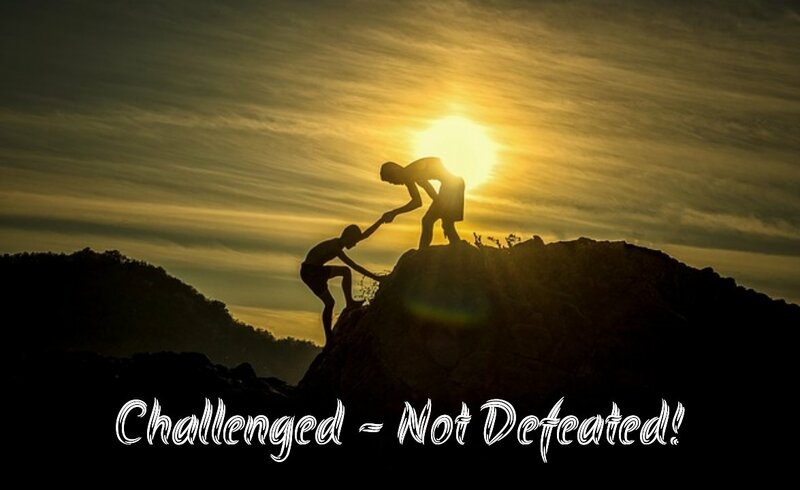 I may be challenged, but I won’t be defeated. When you look for me I will be playing with a smile and I will be Playing It By Ear. My watch word for the year is CONSISTENCY. So on January 2nd, I started talking about it in Consistency is Key  and how it helps in goal realization. But I don’t think that I actually defined it. So the question is,what is consistency? According to a google search, there are several definitions of the word Consistency. The one that struck me the most was the definition that said, “The achievement of a level of performance that does not vary greatly in quality over time.“ What this means is that the to achieve consistency means getting to a level of performance that is the same over time. I love that I can put a complete definition of the word. Now no matter what I do, I aim for excellence! However, I know that as Rome was not built in a day. So in striving for excellence, I know that I have to take it one day at a time, one task at a time. This gives me hope in that I know that if I do not get it today, I will get it tomorrow. I will keep plugging along as I Play It By Ear. And so it begins… That moment in every year – Happy New Year! This year is I am going to lose weight, eat better, learn a new language, and learn to play the guitar , piano , etc. You guessed it – the obligatory RESOLUTION! Every year the gyms are filled on January 1st and by February 1st they are empty. What is the reason for this? I believe that it’s a lack of consistency. I have been in that situation before, and I find myself failing because of a lack of consistency. I didn’t have a support mechanism to motivate myself to do whatever it was that I was trying to do. So I failed. But there’s hope you can make it. You can complete the task that you set out to do. There’s a lot of simple solution. Write it down! It’s the main tool in completing a task. Write  down your specific goal. You may have to refine your goal after you write it down, but that’s the first step. Here’s a website that you can use to help: 20 Exceptional Tips for Setting and Achieving Smart Goals from WakeUpCloud.com. For example, if you want to learn to play the guitar, set a goal of practicing the guitar for 15 mins per day. Every day. Set a time that you would do it and make it your Guitar Time. Write it in your calendar. Put it on a sticky note and paste it to the dashboard of the car  or on your refrigerator. Find someone on YouTube or find your favorite blogger and ask them questions. Keep affirming yourself and take action. Having a goal that’s specific, measurable, attainable and realistic is what builds consistency. 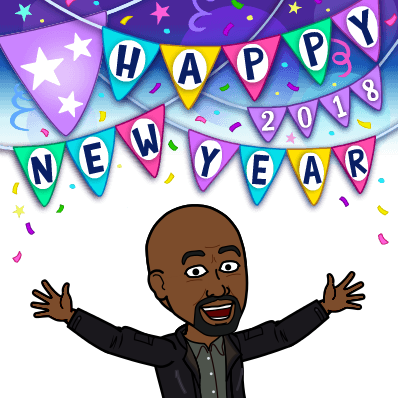 In 2018 I hope to see you fulfilling your dreams and living life to the fullest as you Play it by ear! So another new year has begun… 2017 has come and gone… And you still want to play by ear… Well it’s been a while since I’ve posted a blog, so here I am. Some posts are related to music and others are about life in general. It’s all very interesting to me. There is more that I will be sharing in the days to come, maybe even a book  or two. There’s also another blog that I have in mind for technology, but there will be more on that later. So this is my initial blog for the year, and I hope everyone has a Safe and Happy New Year. Wishing you all the best for 2018 as you continue to Play It By Ear! In my most recent post, I talked about FEAR and how to combat it. All of the strategies that I mentioned in that article involved doing something. There was action involved. That struck me today as I was driving in the car on my way to an event. In order to combat fear, you have to take action. FEAR. There’s no getting around it. There is no getting away with it. It’s there all around you all the time. What does it do? Fear? Fear keeps you from accomplishing all the things in life that you want to do, like learning to play an instrument or playing your instrument by ear. Or even starting a business or writing a blog or even composing a song or two. Yes. Fear is the thing that keeps us back. Now that we know what it does, we need to define what it is. Fear is (drum roll) False Evidence Appearing Real. I know this is true because I’ve always wanted to write a book about playing music by ear (or even blogging about it). I am scared that no one would read it. I am scared that no one would buy it. I’m scared that it wouldn’t help anybody. Sometimes I’m scared that I would not know what to say or lay it out in a logical manner so that people would follow. These are some of the things that I am fearful of. So the question is, Now that we know what fear is and what fear does, what do we do about it. In my opinion, knowing is half the battle. I believe that when you can identify your issues, you are able to develop strategies to mitigate your problems. In order to combat FEAR, you have to have FAITH. Faith is the opposite of FEAR. There are also practical things that you can do to combat FEAR in your life and replace it with HOPE and FAITH. Gratitude List – Make a list of the things that you are grateful for and be very grateful for all the opportunities that you are afforded along the way. Positive Affirmations – Keep positive thoughts with you at all times. For example, when you feel a fear coming on, you use a mantra to keep you going – Make “I Can Do This” one of your mantras to keep you pushing towards the goal. Have a Goal or Objective – Write it down in a VERY Visible Place and keep it in mind whenever you are concerned about fear. Chunk It Up – Divide your task into smaller chunks – For example if you are thinking of writing a book, break the whole project down into smaller chunks. So that you write one chapter at a time instead of the whole book at once. The journey of 1000 miles begins with a single step. Keep on stepping and leave your fear behind. And remember to always Keep On Playing It By Ear. That’s it. When you find yourself stumped, just take a break from what you’re doing and focus on something else for a little while and you will surprise yourself. I’m not sure why taking a break works the way it does. For me, taking a break is a very useful thing that transcends music. I’m taking a break from this blog for today. I’ll be back tomorrow. In the mean time, take a break and just keep on Playing It By Ear! #InTheZone: Getting There -HALF D BATTLE!!! Achieving Success at Playing By Ear and for doing anything in life is a matter of planning and hard work. To get to the place where you are successful is not a random event that happens due to flights of chance or fancy. It takes lots of hard work. You have to be in the zone. What does being “In The Zone…” mean? It means that there you have a sense of focus on what you are trying to accomplish. It means that you make the necessary sacrifices needed to finish what you have started. When I was learning to play the guitar for the second time, I had to make sacrifices so that I could learn. I took lessons. I had consistent practice times. I worked on specific things, one at a time. There was focus there. Keep up the focus. Stay on the right path. Practice your instument, and Keep Playing By Ear! Playing from memory is a very useful skill. The more that you can place in your memory, the better off you will be. This is true for everything, but I believe that it is also true for music. In fact I believe that music is often used to teach other subjects. For example, the alphabet is taught as a song. So memorizing songs are an easy way to learn things in general. Similarly, I believe that learning to play by ear is encouraged by memorizing songs. The reason is that the more songs you learn, the more patterns you recognize. Why is this important? Songs are made up of things called Progressions. A progression is a collection of chords that make up any particular song. Each series of chords or progression, form the song when placed together. The more times you play a song, it engraves itself in your mind and you are able to retain it much better. So I encourage you to learn as many songs as you can from memory, and you will find yourself playing by ear. There is something to be said about being able to speak multiple languages. Just recently on a recent trip to a country in Europe, I saw 2 brothers 3 and 7 years old, that spoke Russian and English. They knew 2 languages by this age. I have been in foreign countries before, and it is sometimes frustrating when I have to express myself and I don’t know the language. I think that Music is the same way. It is a language and it has structure, and when you understand it, it is easy to create new and beautiful songs. So what is the best way to learn Music? This is a great question and one of my favorite topics. How do little children learn language? They learn it by listening to the people around them. They learn it and are usually able to speak it by the time they are two or three years old. In that three year span, they have been exposed to thousands of different words and sometimes even though they mispronounce their words, they are able to communicate. What happens when they make a mistake? They get corrected, and eventually they get it. Similarly when a baby is learning to walk and falls down 100 times, they never tell themselves, “Maybe this is not for me.” NO! They get up and keep walking. So it is with the language and study of Music. It is something that the more you do and study, the easier it is to play it. Exposure to music at an early age makes it easier to acquire the musical skill as I mentioned in a previous posts – Play It For Language, Part 3. My experience is such that I was exposed to music at a very early age, and I absorbed the music and made it part of me. My family was also very much into music with all my brothers and father playing instruments and singing. We also sung together as a family. This I believe helped my understanding of music so much that I could not help but become a musician. I was surrounded by it similarly as a child that is born in Russia will learn Russian or a child in Japan will learn Japanese. So my challenge to you all is to get out there and play. It may be difficult at first to get it to the next level with your playing, but it will get better. The more you play the better you will get. Additionally, find other players in your area or start a community group in your area that can play together and function as a resource for each other. You are the only one that can affect how far and how fast you make progress. Don’t be afraid to make mistakes and Keep On Playing It By EAR! Arranging – What is it? How is it used in playing by ear? You hear this term being bandied about and you may wonder what it means. I know that I have looked at and listened to a song because I knew who arranged it. It’s just the way it is. Sometimes you can just listen to a song and you could tell right away who arranged it based on the chord progressions and other musical elements that signify one guy’s work versus another. It is very fascinating. But what is arranging? And how is it used to play by ear? My favorite resource, Wikipedia, describes Arranging as a “musical reconceptualization of a previously composed work. It may differ from the original work by means of reharmonization, melodic paraphrasing, orchestration, or development of the formal structure.” This definition is pretty accurate in that describes what an “arrangement” is. In terms of playing by ear, sometimes you can use inversions, or relative keys as a technique to achieve the reharmonization or reconceptualization as mentioned above. Another excerpt from the Wikipedia article states that, “Arranging “involves adding compositional techniques, such as new thematic material for introductions, transitions, or modulations, and endings…. Arranging is the art of giving an existing melody musical variety”. For some people, playing by ear is very similar to playing from memory, meaning that they learn a song and can play that song without the sheet music. Depending on your level of expertise, some people can even play these memorized songs in multiple keys without having to practice them. In other words playing by ear can be likened to arranging on the fly or instant arranging. Play By Ear In 8 Months or LESS!!! What? You can learn to play an instrument by ear in 8 months or less? That can’t be done! It is impossible. STOP! I want to say that it can be learned and it can be done. You don’t have to be a Mozart or some other prodigy. All you have to have is a willing heart, the desire to play, easy access to the instrument of your choice, the right mentor or teacher, and at least one hour a day. It all comes back to the attitude that you bring to the table. The first thing you need is to make sure that you have the right attitude. This will make all the difference in the world. One of the most challenging things when doing or starting something new is staying encouraged and motivated when progress is slow. Think about learning a new language and how long it takes to master that language. You can begin to have meaningful conversation in 3 months and be able to master it in a few months after that. The same applies to learning to play by ear. 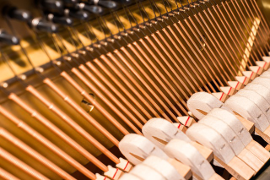 As you learn and master the principles of playing by ear, the process becomes so much easier. I love it when a student gets it. It is a beautiful thing. I have found that having the right attitude is better than having all the musical aptitude in the world. A willing and humble heart is much nicer to deal with than an arrogant heart. And this goes for everything that you may do in life. I believe that there is a right way to do everything, and having a willing heart will lead you to the right way soonest. Another way to get to playing by ear in 8 months is to get the right mentor, coach or teacher. This is vitally important. Some people have utilized all the phenomenal wealth of information on resources like youtube.com or some other web resource, but the problem with these sites is that the instructor cannot show you the chords and make corrections when they are needed. The additional thing about the right teacher is that they will be listening to you and giving you constructive criticism. This is vital to your success as you go forward. I will continue this article in another post as I did not want to overwhelm anyone with too much information. Please comment and tell me what you think as we continue to Play It By Ear.